Voice modulation is very important, especially to make any presentation or a speech impressive. The best method to achieve it is to undergo a bit of voice training and the easiest way is to attend a few lessons on vocal music, either Western, Hindustani or Carnatic. Our daughter Nidhi had undergone training in all the three and our son Nikhil was reluctant to do so. His clichéd excuse was that vocal music is not that ‘manly’. 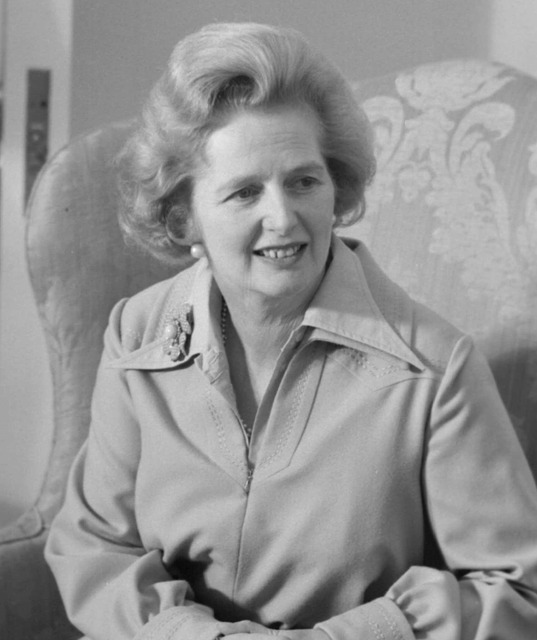 His ideas about vocal music training changed after we watched the movie ‘The Iron Lady’, a biographical movie about Ms Margaret Thatcher, the former Prime Minister of UK. Ms Thatcher realised that her voice was a bit ‘screechy’ and was deemed a problem when she first wanted to run for Parliament election. Women’s voices, especially shouting at the top of their voices in any parliament has always been accused for being too shrill. The movie shows her undergoing vocal training to reduce the shrillness of her voice to her optimum pitch and improve the projection of her voice. Improvement in both of these areas removed much of her shrillness and gave her voice a better projection and thus better impact. Bingo! after the movie Nikhil enrolled for the vocal music lesson and did about a dozen classes. His voice modulation improved tremendously and after a few months he asked me as to how I knew that vocal music training would help. I said “fools learn from their mistakes, wise ones learn from others’ mistakes and idiots will never learn. Your dad was a fool and you need to be wiser”. Decades of research have established that musical training has profound impact on the development of the brain. Many language skills, from reading to speech perception and production, rely upon phonological awareness, the explicit knowledge of the components of speech and how they can be combined. Phonological awareness, in turn, relies upon the ability to categorize speech sound which are distinguished by small differences in timing and frequency content. Audiovisual processing is seen to be much enhanced in musicians’ brains compared to their non-musician counterparts. Musicians are more sensitive to subtle changes in both speech and music sounds. When children start studying music before the age of seven, they develop bigger vocabularies, a better sense of grammar and a higher verbal IQ. These advantages benefit both the development of their mother tongue and the learning of foreign languages. During these crucial years, the brain is at its sensitive development phase, with 95% of the brain’s growth occurring now. Music training started during this period also boosts the brain’s ability to process subtle differences between sounds and assist in the pronunciation of languages – and this gift lasts for life. It has been found that adults who had musical training in childhood still retain this ability to learn foreign languages quicker and more efficiently than adults who did not have early childhood music training. How is music training going to develop one into a good speaker? In order to get your ideas across well, captivate an audience, command or persuade your team to achieve a goal, it is important to modulate your voice to suit the occasion. In all these situations, your voice plays an important role in making a meaningful impact on your listeners. Everyone would like to listen to a confident and inspiring voice. A good voice is one that is easy to listen to and it would command the attention of the listeners, influence and inspire them. A good voice is a great tool in communicating any messages clearly, whenever or wherever one is. Most speakers, however good they are, shy away from listening to their own voices. One got to accept one’s voice, but also realise that there is always scope for training. The aim of such training should be to develop some simple vocal skills to help you sound more confident and interesting. Speed of the delivery of the speech, mostly too fast, causes strain to the listeners and results in loosing focus. The speed of your delivery is mostly dictated by your nervousness; more nervous you are, faster you speak. This results in loosing track of your thoughts and makes you mumble a few words and often results in a monotonous and uninspiring speech. To control the speed of your delivery, pause for a second or two after your first sentence. This allows the audience time to adjust to your voice and take in what you have just said. A good way to practise getting used to pausing is to read out aloud a from a newspaper or a book. When you get to a full stop make sure that you pause two or three seconds before moving on to the next sentence. Most audiences get put-off by a dull and uninspiring speaker with a monotonous voice, a voice that is too quiet or a voice that lacks emphasis. You need to speak with energy and enthusiasm if you want your audience to listen to every word. If the audience cannot hear you, they will switch off very quickly. To avoid this you do not have to shout but you need to project your voice by emphasising the key words in the sentences. This will help you to project energy and passion into your voice and your voice will sound stronger and more confident. Emphasising words also tends to lift the pitch in your voice so that it is no longer monotonous but more varied and interesting to listen to. Select any text, underline the key words and read it aloud to practice emphasising these key words. An expert voice coach can help you to discover your true voice; develop your own vocal strengths and thus communicate with greater influence in all situations. This is where the basics of classical music comes in to help you modulate your voice. It is not too late for anyone to undergo a few vocal music lessons. The least one can do is to ensure that the generations to come are put through some vocal music lessons. Good oratory skill display by Nikhil. i saw a ted talk once they asked not to speak from our throat or our nose, but from our chest area to get more depth for our voice. any other measures? The opera singers, to reach the high pitch, often take out the voice from the abdomen, and some claim that it ended with hernia. While in the Army, we were expected to give the word of command for drill from our chest and not from our throat.